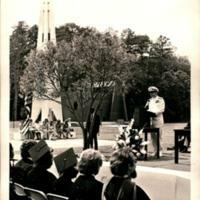 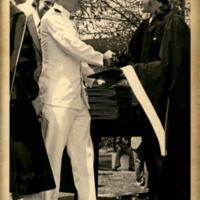 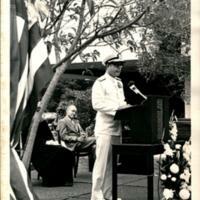 Subject is exactly "Commencement ceremonies"
Rear Admiral Jeremiah Denton speaking at the 1976 Virginia Wesleyan College commencement ceremony. 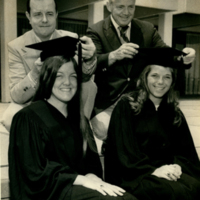 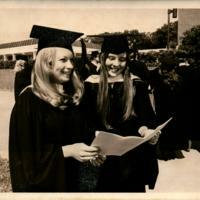 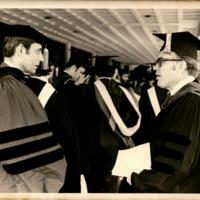 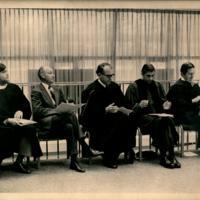 Platform party members, Dean Wilson, Judge Jerry Bray, and Bishop Goodson (left to right), at the 1974 Virginia Wesleyan College commencement ceremony. 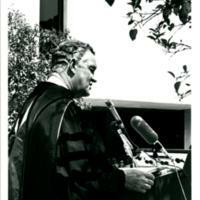 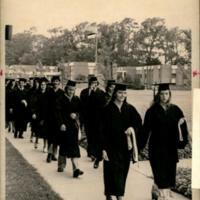 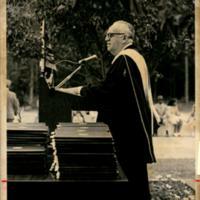 Dr. Norman A. Graebnor, University of Virginia historian, speaking in Hofheimer Library at the 1973 Virginia Wesleyan College commencement ceremony. 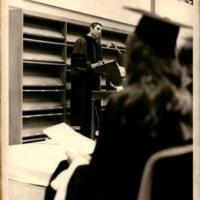 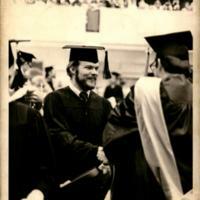 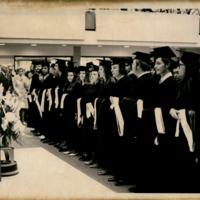 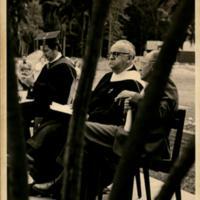 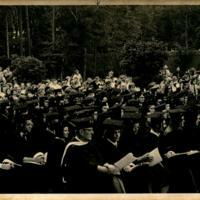 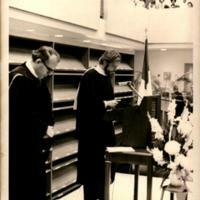 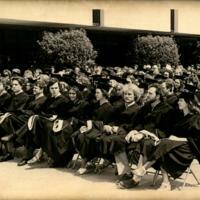 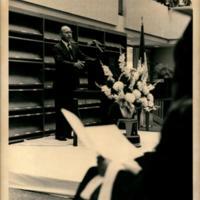 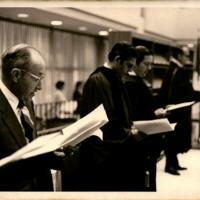 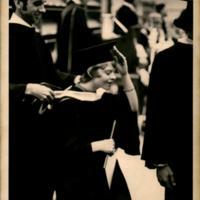 Judge Jerry Bray at the podium in the Hofheimer Library at the 1973 Virginia Wesleyan College commencement ceremony.